The fourth annual Jazz On A Winter's Weekend festival is set to take place on 1-3 February 2008 in venues across Southport. 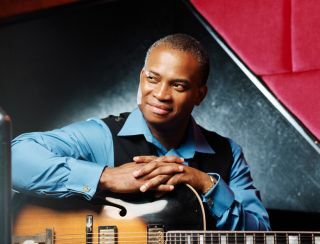 Topping the bill is influential American jazz guitarist Russell Malone, who has toured extensively with the likes of Harry Connick Jnr and Diana Krall and recorded for the Verve and Columbia labels since the early 1990s. BBC Radio 3 is set to broadcast the concert, which is just the tip of an impressive iceberg as far as the festival line-up is concerned. Visit the festival's official website to see the full programme. The exlusive Russell Malone Quartet show is on Saturday 3 February at Southport Arts Centre. For ticket details visit www.seftonarts.co.uk.